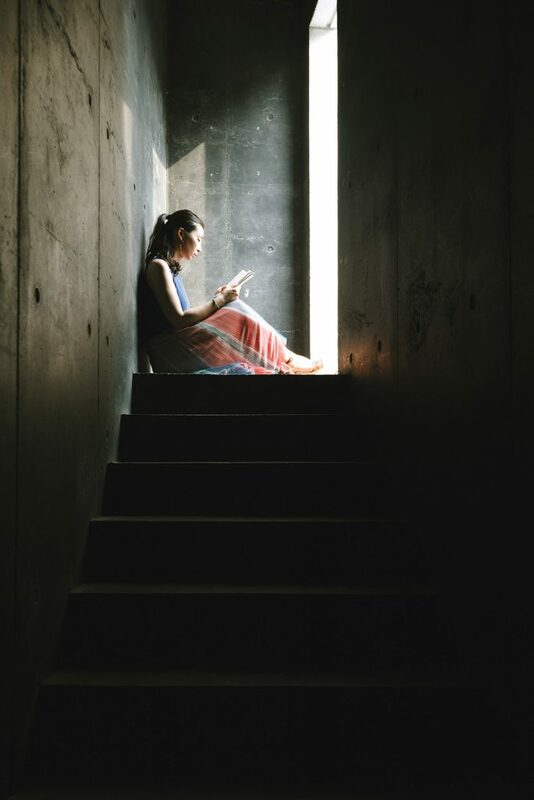 In these walks, we visit the former homes and memorials of some of Korea’s literary giants of the 20th century, novelists and poets who spiritually sustained the country during its darkest hours. Thanks to the work of individual translators and organizations such as LTI Korea, much of their work is now accessible to non-Korean audiences. Even if we cannot read their words, however, the houses, photographs, personal effects and other articles they left behind teach us much about the artists, the times in which they lived and their creative visions. These walks also let us explore some of Seoul’s most charming neighborhoods, places where art, leisure and nature come together. Poet Yun Dong-ju (1917–1945) is one of Korea’s most beloved literary figures. Practically unknown when he died in a Japanese prison at the young age of 27, Yun is today a cultural icon. 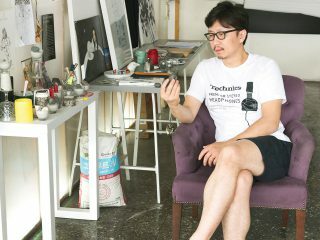 Last year, his life was the subject of a feature film, “DongJu: The Portrait of a Poet.” This year, the Seoul Performing Arts Company staged “Yun Dong-ju Shoots the Moon,” a musical the troupe first produced in 2011. Kwanghee of boy band ZE:A, rapper Gaeko and Oh Hyuk from Hyukoh performed “Your Night,” a song about the poet, on the popular variety program “Infinite Challenge”; the number subsequently topped seven major music charts. The beautiful Yun Dong-ju Literature House, perched on a windy hill at the foot of Mt. Inwangsan, is a museum that pays tribute to the poet and his work. 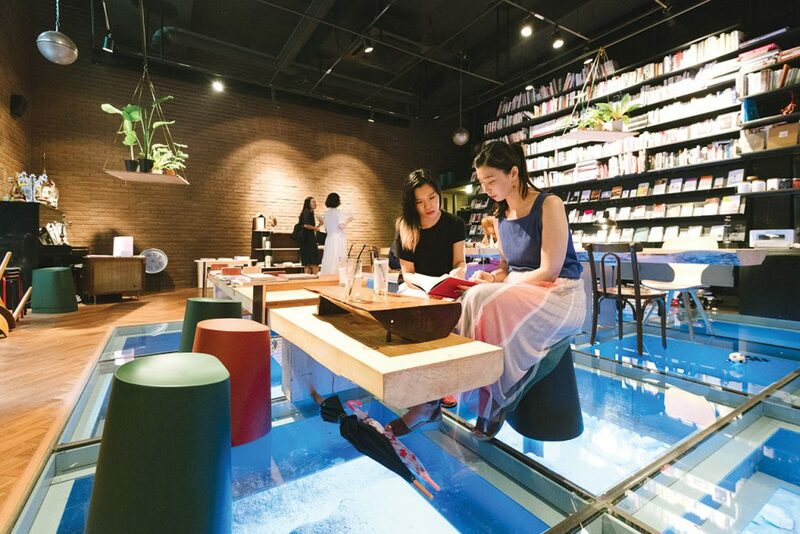 The space, a former water pumping station brilliantly re-purposed by architect Lee So-jin, holds old photos, a well from Yun’s hometown, letters, books and other memorabilia. One of the pumping station’s old water tanks has been turned into a beautiful garden, while another is now used as a theater. The latter, pitch black except for a narrow ray of light that penetrates the room through a small hole in the roof, recreates the dark, dreadful prison cell where Yun’s life came to an end. Near the Yun Dong-ju Literature House is Poet’s Hill, a park with a commanding view of downtown Seoul. When Yun, then a student at what is now Yonsei University, lived in a boarding house in the Seochon neighborhood, he often hiked the hill with his friend, refining his poetry over views of the city. His poem “Prologue” is inscribed in a stone monument. A section of Seoul’s historic city wall runs through the park, too. Also on the hill is Cheongun Literature Library. While the library’s first floor is a typical library space, with shelves full of books, the second floor is a Korean traditional Hanok. The curved tile roof of the Hanok, which is a reading room, strikes a beautiful harmony with Mt. Inwangsan. The Yun Dong-ju Literature House is located at the entrance of Buam-dong, a quaint, quiet neighborhood hidden in the pass between Mt. Inwangsan and Mt. Bugaksan. The district is home to several museums and galleries, some very cozy cafés and several good restaurants, including a superb dumpling house and two shops serving excellent fried chicken. Buam-dong is also a good starting point for hikes of Mt. Inwangsan or Mt. Bugaksan. Seo Jeong-ju (1915–2000) was another giant of Korean modern poetry. A five-time nominee for the Nobel Prize in literature, Seo’s combination of traditionalism and creativity became a model for future generations of Korean poets. Critics praise his poetry, with its beautiful command of language, for perfectly capturing the sentiment of the Korean people. On the road that runs along the west side of Gyeongbokgung, there is a simple, two-story box with a tiled facade. This building is the former Boan Yeogwan, an old-school Korean inn that was also a home to many 20th century writers and artists. Seo was himself a resident here in the 1930s. 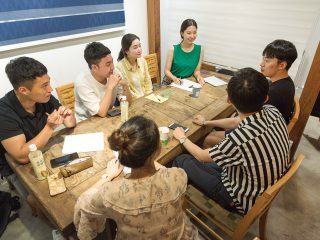 In fact, it was at the inn that Seo launched his literary career when, in 1936, he, Kim Gwang-gyun, Kim Dong-ni, Oh Jang-hwan and fellow inn resident Ham Hyeong-su published the literary coterie journal Village of Poets. 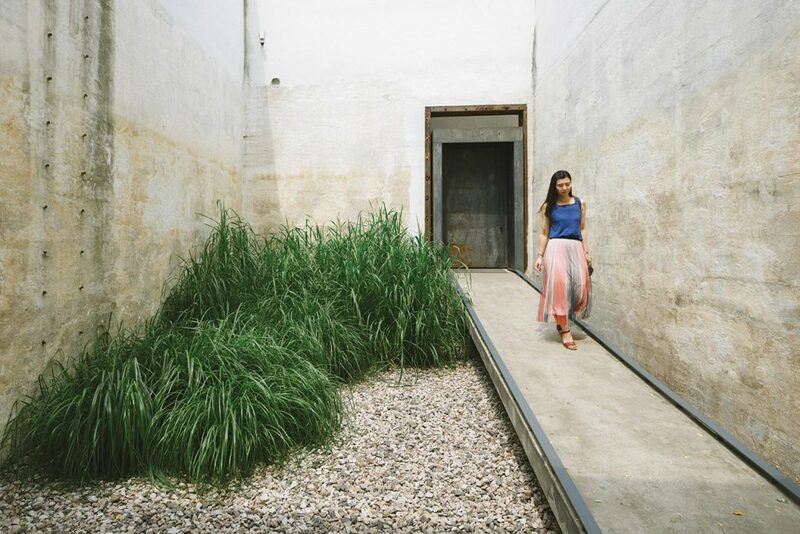 The inn, which is over 80 years old, was converted into an art space in 2007. Artspace Boan 1942, as it is now called, hosts regular exhibits of art, including sections of the annual Seochon Performing Arts Festival. Most of the gallery has been left in its original, almost dilapidated condition, allowing the space’s history to show through. The art space includes the modern building next door, which houses more exhibit space, a cafe and a very cool bookstore. The Boan Yeogwan is also a good starting point for exploring the artistic – and trendy – Seochon neighborhood. The quiet, low-rise maze of alleyways to the west of Gyeongbokgung Palace has long held a special place in the Korean arts scene. In the 20th century, many writers and artists lived and worked in the neighborhood. Today, its streets, lined by picturesque Hanok homes, are home to galleries, workshops and more than a few cafés, restaurants and boutiques. On a weekend, it can seem as if every young couple in Seoul is strolling about. 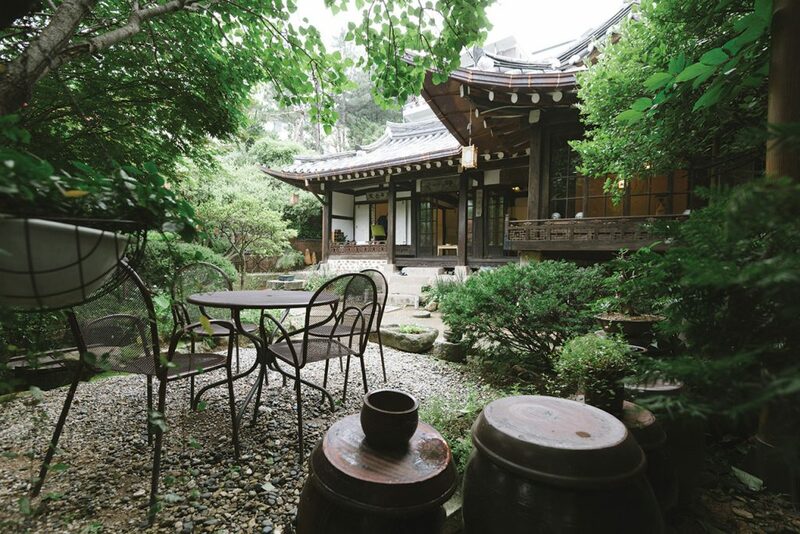 The Yi Sang House is located on the land where the writer lived, although the Hanok that now stands on the spot was built after the writer’s death. It hosts regular exhibits and performances and also serves as a neighborhood lounge, complete with free instant coffee and tea. In the back of the house, behind a cast iron door, is a small theater and a flight of stairs that leads to a small balcony overlooking the courtyard. Nestled in a valley just north of Seoul’s old city wall, Seongbuk-dong is leafy neighborhood so quietly pleasant that it is the preferred place of abode for much of Seoul’s diplomatic community. Its cafés, restaurants and relaxed ambiance make it a popular weekend destination for families and couples, too, especially when the weather is nice. 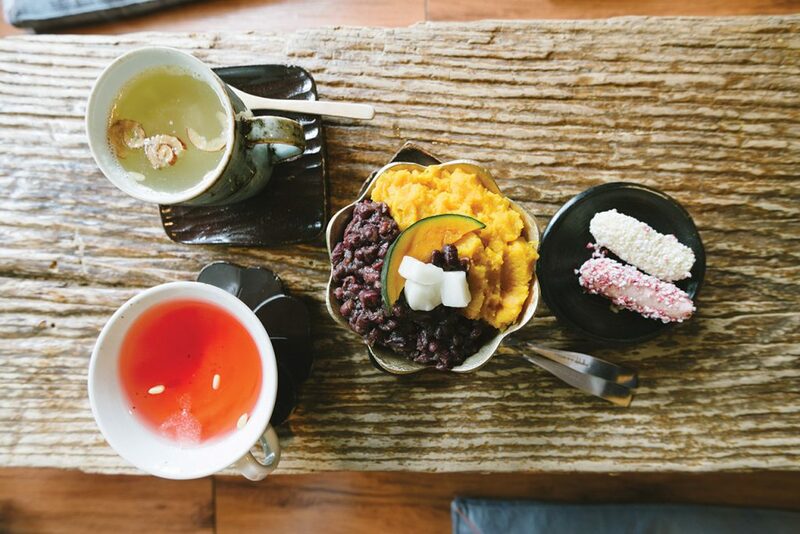 If you’re looking for a place to escape the hustle and bustle of Seoul without physically leaving the city limits, this is it. 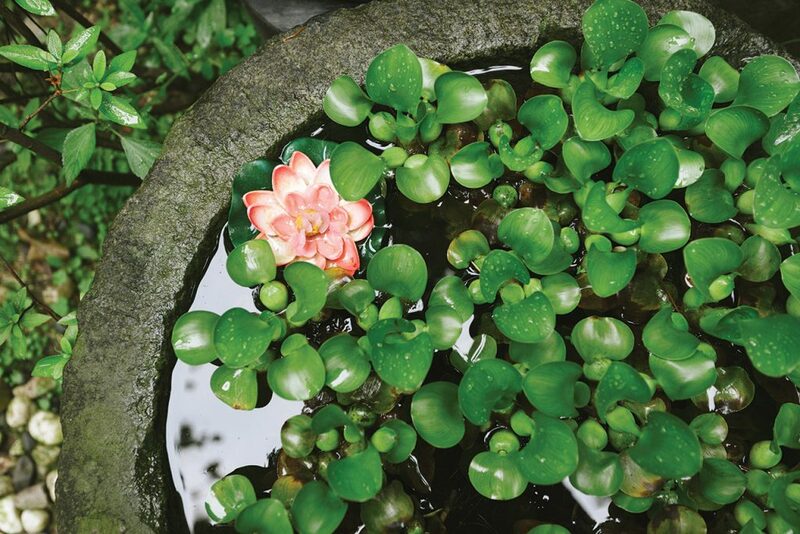 Over the years, writers and other artists have found the valley, with its tranquility and proximity to nature, the perfect environment in which to engage in creative endeavors. High on a hillside overlooking the valley is a rustically handsome hanok home with some beautiful old trees in the garden. This is the Simujang, the former home of the Buddhist monk, independence activist and poet Han Yong-un (1879–1944), who is better known by his pen name, Manhae. The house’s name means “looking for a lost cow,” a Buddhist metaphor for seeking enlightenment. The poet monk lived here from 1933 to his death in 1944. A short walk above the Simujang is Bukjeong Village, an old but picturesque hilltop community in the shadow of Seoul’s old city wall. A few of the village’s homes have been turned into art spaces. The old wall makes for a scenic hike, too, especially in spring, when the blossoms erupt into a riot of color. In the valley below is Suyeon Sanbang, an exquisite tea house and the former home of pioneering novelist Yi Tae-jun (1904–1970?). Sometimes called “Korea’s Guy de Maupassant,” Yi was a master of the short story and one of the nation’s most respected writers of the 1930s. He was also the one who encouraged Yi Sang to write poetry, recognizing the young genius’s talent. Yi lived in Suyeon Sanbang from 1933 to 1946, when he defected to North Korea. 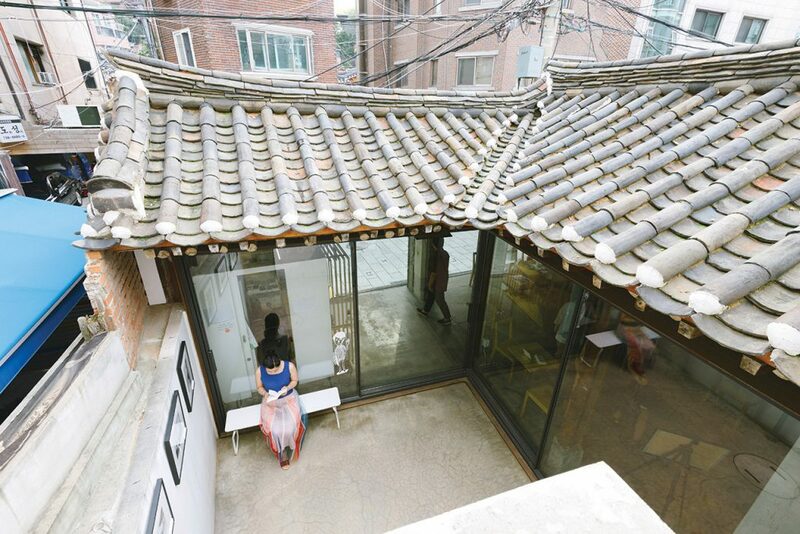 His old home is a beautifully preserved Hanok that incorporates modern, 20th century elements such as glass windows. 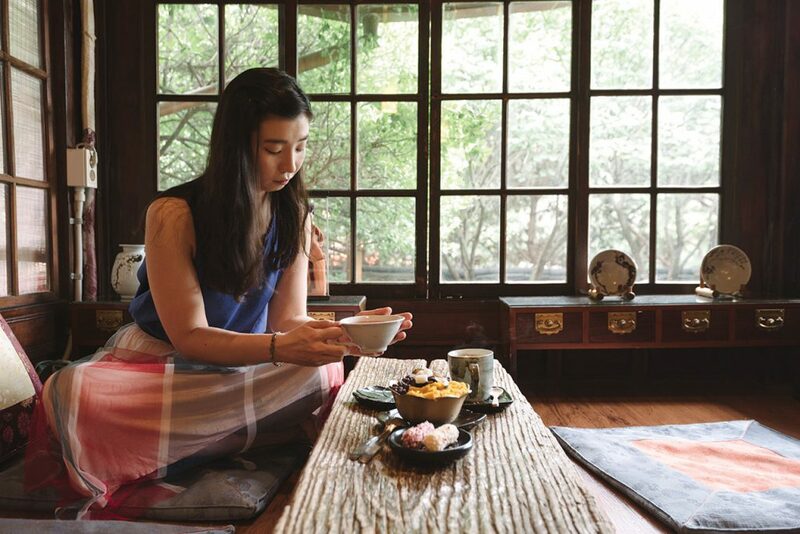 Yi’s granddaughter runs the tea house, which serves delightful Korean traditional teas and rice cakes. If you can, sit in the raised pavilion space overlooking the garden. GO> Take bus 1020, 7022 or 7212 from Gyeongbokgung Station (Line 3), Exit 3. GO> Art Space Boan is a 500 meter walk from Gyeongbokgung Station (Line 3), Exit 2. The Yi Sang House, meanwhile, is a short walk from Woori Bank.